below is information to help you make an informed decision. The best source of a healthy, well-socialized puppy is a conscientious breeder with a long-term commitment to the breed and a reputation to uphold. This site does not list litters, but provides link to State Golden Retriever Clubs, which have puppy lists, and there is also a page listing Breeders by state . All breeders on this site are registered with their State Controlling body, and most are active members of their State Golden Retriever Breed Club and abide by their rules & regulations. 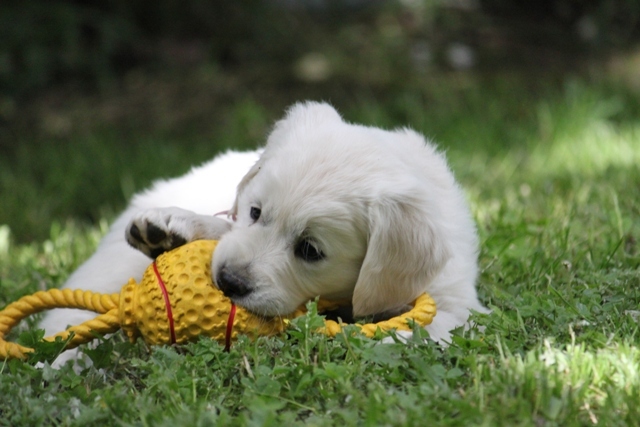 When seeking a new puppy your first point of call should be your State Golden Retriever Club, most state's of Australia have a club, and list members puppies available. Members must abide by their clubs rules and regulations and code of ethics. An advertisement stating "purebred", is NOT proof a dog is so. Parents must have ANKC registration papers, each puppies will also have their own official pedigree (not a photo copy). Breeders must also have a registered kennel prefix. .
Be aware many puppy farms also hide under glossy web sites & advertisements, and use this as a way of drawing you into a sale. Do not pay deposits for puppies not yet born or seen. Make sure a breeder does actually have a puppy to sell. Sadly some pushy breeders will take deposits for puppies not yet born, and do not have a puppy for you! Be very clear about what you are paying for, and ask for a writen receipt. No respectful breeder should need to take a deposit for unborn/future puppies. Breeders agreements with puppies: Sometimes the breeder will ask you to enter into an agreement regarding the future breeding, showing or ownership of the puppy. Only accept such an agreement if you clearly understand and agree to the terms proposed. Any agreement should be in writing and signed by both parties, so that the conditions are clearly understood and accepted by both parties. Such agreements are not mandatory and if you have any reservations you are not obliged to accept. Good breeders usually only breed when they want something them self, and may only have 1 or 2 litters per year. They usually have waiting lists for puppies, and aare not pushy to get a sale. Never impulse buy a puppy. Buying a puppy is a big decision, and takes planning and the time must be right. Puppies should be clean, have a large secure area to play in and have plenty of toys and play things for mental stimulation. A good breeder will know each puppy individually and in most cases puppies will have ID by collar or ribbon. Make sure information on both parents is available, request to see all certificates from both parents.If the sire is not on site, you may wish to visit him if local. The breeder should have a good understanding of the breed, and should ask you many questions. Ask to see what information will be supplied with your puppy, most breeders will supply a comprehensive folder with plenty of information on raising your puppy, vaccination certificate, microchip details, plus possibly a food sample, toy and insurance. The GRCV has some excellent information on what to look for when selecting a breeder. Golden Retriever Club of Queensland. Golden Retriever Club of NZ. Breeders sometime need to re home older dogs, who may have finished their breeding or show career, or who may not be suitable for there needs. Usually these dogs are house trained, have basic training and require less work than a new puppy. These dogs can make perfect companions to those that do not wish to go through the busy puppy phase. UN like some breeds Golden Retrievers usually do adjust well to moving to a new loving home. 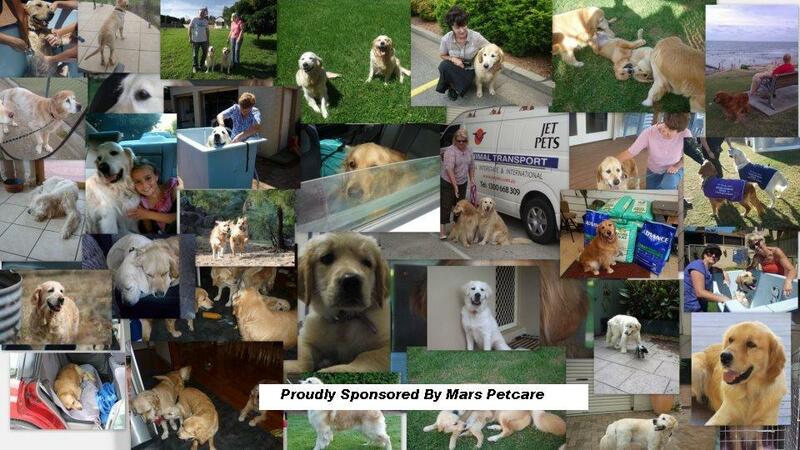 GGR is based in NSW they are always seeking homes for dogs from unfortunate circumstances.